A leading cultural theorist and musicologist opens up new possibilities for understanding mainstream Western art music—the "classical" music composed between the eighteenth and early twentieth centuries that is, for many, losing both its prestige and its appeal. When this music is regarded esoterically, removed from real-world interests, it increasingly sounds more evasive than transcendent. 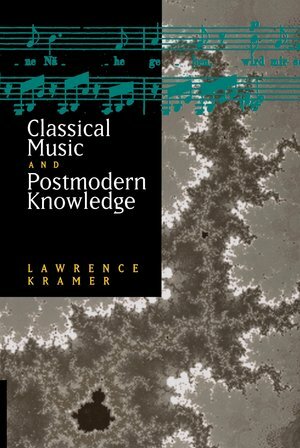 Now Lawrence Kramer shows how classical music can take on new meaning and new life when approached from postmodernist standpoints. Kramer draws out the musical implications of contemporary efforts to understand reason, language, and subjectivity in relation to concrete human activities rather than to universal principles. Extending the rethinking of musical expression begun in his earlier Music as Cultural Practice, he regards music not only as an object that invites aesthetic reception but also as an activity that vitally shapes the personal, social, and cultural identities of its listeners. In language accessible to nonspecialists but informative to specialists, Kramer provides an original account of the postmodernist ethos, explains its relationship to music, and explores that relationship in a series of case studies ranging from Haydn and Mendelssohn to Ives and Ravel. Lawrence Kramer teaches in the Humanities Department at Fordham University, Lincoln Center, and is an active composer. He has published two previous books with California: Music and Poetry: The Nineteenth Century and After (1984) and Music as Cultural Practice (1990). Both are available in paperback.